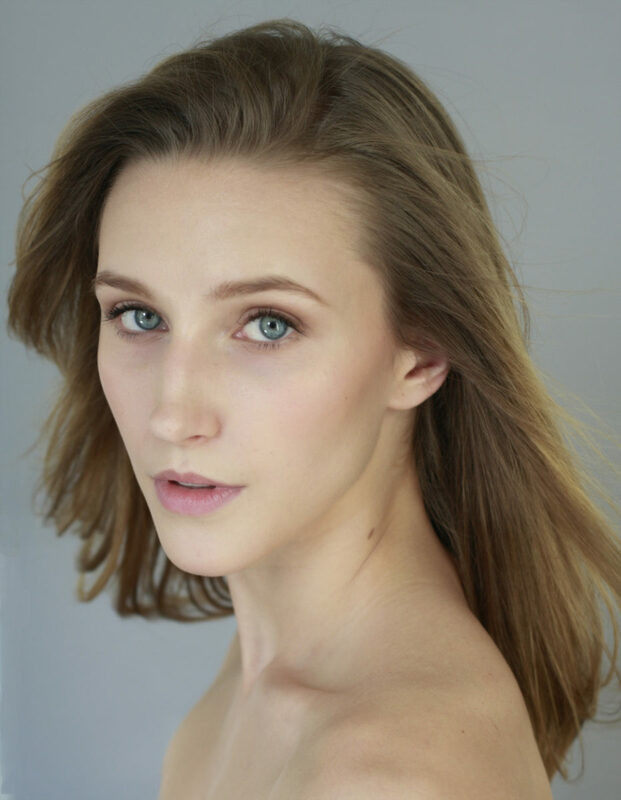 Born in Pennsylvania, Devon Teuscher began her dance training at the age of nine under Deanna Doty of the Champaign Urbana Ballet Academy in Champaign, IL. When her family moved to Vermont, she continued her training at the Vermont Ballet Theatre School in Essex, Vermont under the direction of Alex and Kirsten Nagiba. At the age of eleven, Teuscher attended The Kirov Ballet Academy summer intensive. She also attended the Pacific Northwest Ballet summer intensive on full scholarship for two years. From 2002 to 2006 Teuscher attended American Ballet Theatre’s Summer Intensive, and was a National Training Scholar from 2003 to 2006. In January 2005, Teuscher relocated to New York City to dance at American Ballet Theatre’s Jacqueline Kennedy Onassis School on full scholarship. Teuscher joined ABT’s Studio Company in 2006 where she danced leading roles in Raymonda, Les Sylphides, Swan Lake, Sleeping Beauty, and various works by Jessica Lang. She joined American Ballet Theatre as an apprentice in December 2007 and the corps de ballet in June 2008. She became a Soloist in August 2014 and Principal Dancer in September 2017. Her repertoire with the Company includes Polyhymnia in Apollo, a leading role in Bach Partita, Nikiya and a Shade in La Bayadère, Summer Fairy and Fairy Godmother in Cinderella, Aurora and Lead Mazurka/Czardas in Coppélia, Gulnare in Le Corsaire, Mercedes, the Dryad Queen and a Flower Girl in Don Quixote, the title role in Firebird, La Lionne in Gaîté Parisienne, Myrta in Giselle, Partisan Woman in The Green Table, Lead Persian Lady in The Golden Cockerel, Caroline in Jardin aux Lilas, Spanish Dance and one of The Nutcracker’s Sisters in Alexei Ratmansky’s The Nutcracker, Juliet, Rosaline’s friend and Lady Capulet in Romeo and Juliet, Candide (Sincerity), Lilac Fairy and Diamond Fairy in Ratmansky’s The Sleeping Beauty, Odette/Odile, the pas de trois, Spanish Princess and a big swan in Swan Lake, Terpsichore and Diana in Sylvia, Princess Tea Flower in Whipped Cream and roles in AFTERITE, Airs, Baker’s Dozen, Chamber Symphony, Citizen, Company B, Duets, Dumbarton, Everything Doesn’t Happen at Once, Gong, In the Upper Room, Raymonda Divertissements, Sinfonietta, Souvenir d’un lieu cher, Symphonic Variations, Thirteen Diversions and Valse Fantaisie. She created the Fairy Candide (Sincerity) in Alexei Ratmansky’s The Sleeping Beauty and roles in After You, Her Notes, Serenade After Plato’s Symposium, I Feel The Earth Move, Praedicere and With a Chance of Rain. Ms. Teuscher's performances with American Ballet Theatre are sponsored by Donna Calamari. Devon Teuscher in The Sleeping Beauty. Devon Teuscher in Le Corsaire. Devon Teuscher in Jardin aux Lilas.